Today I want to write about an amazing animal, Steller’s sea lion. These guys are the largest member of the eared seal family, which includes fur seals and sea lions. Males are much larger than females and can grow up to 3 metres long. 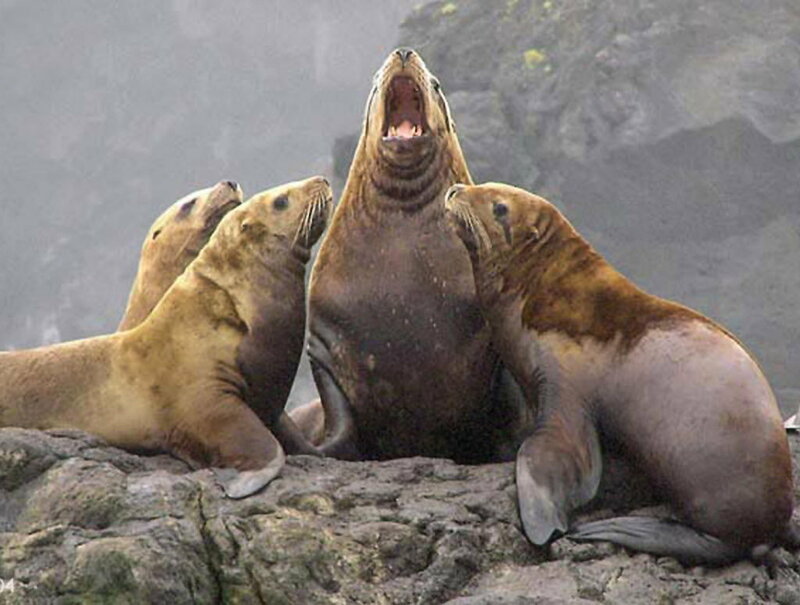 Steller’s sea lions are excellent hunters and catch a wide variety of fish and squid. They are named after German naturalist George Wilhelm Steller who was the first person to describe them in 1741. He also has a species of sea eagle and other animals named after him. At breeding time, the males arrive early to establish a territory on the beach. They defend their territories aggressively against each other and don’t eat for months as they don’t want other males to steal their spot while they go hunting. Steller’s sea lions are found from the northern coasts of California up to Alaska and then across to Russia and Japan. Are there any other interesting facts that you would like to share about Steller’s sea lion?